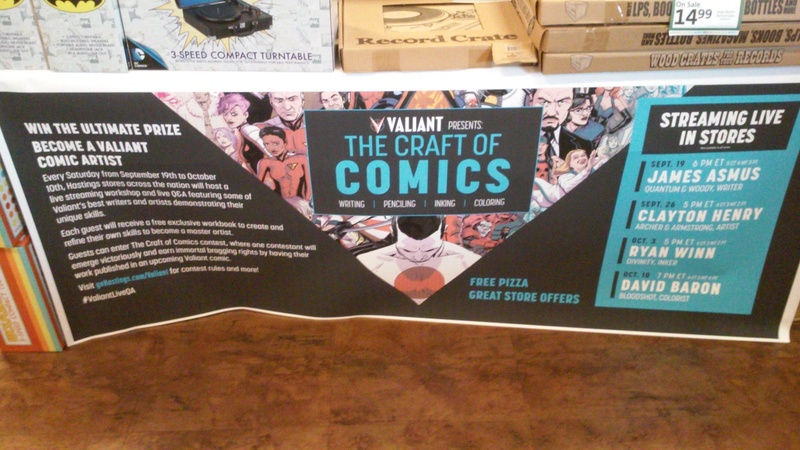 Valiant’s “The Craft of Comics” Only at Hastings! 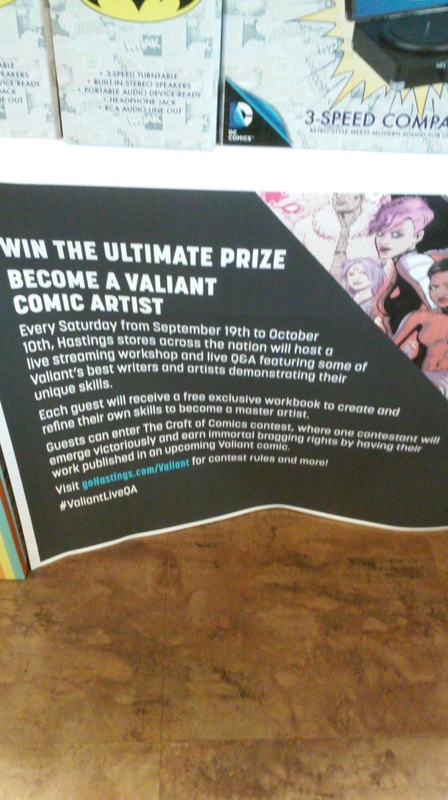 Every Saturday from September 19 – October 10, Hastings nationwide will be teaming up with comic book publisher Valiant to host “The Craft of Comics” which will be a live-streaming comic book workshop with a live audience and a Q&A with some of Valiant’s best writers and artists. On the first Saturday, the workshop will be a Writer’s workshop. The second Saturday will be a Penciling workshop. 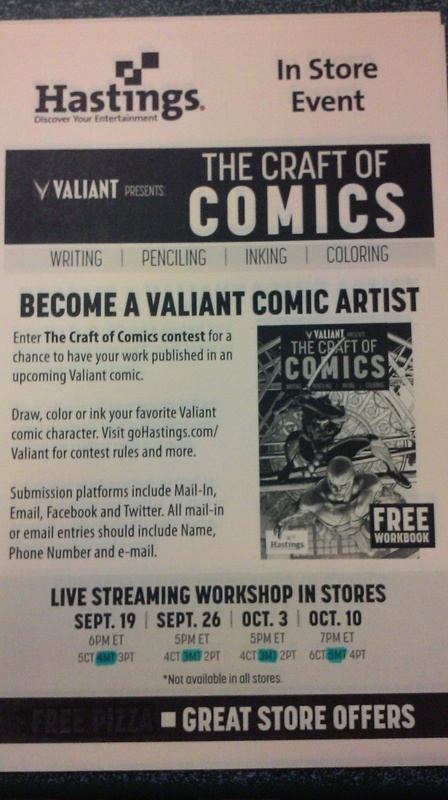 The third workshop is an Inking and, finally, a Coloring workshop. They will also include free pizza for every event. Each person who goes to this event will receive an exclusive workbook to create and refine their own skills to become a master artist. 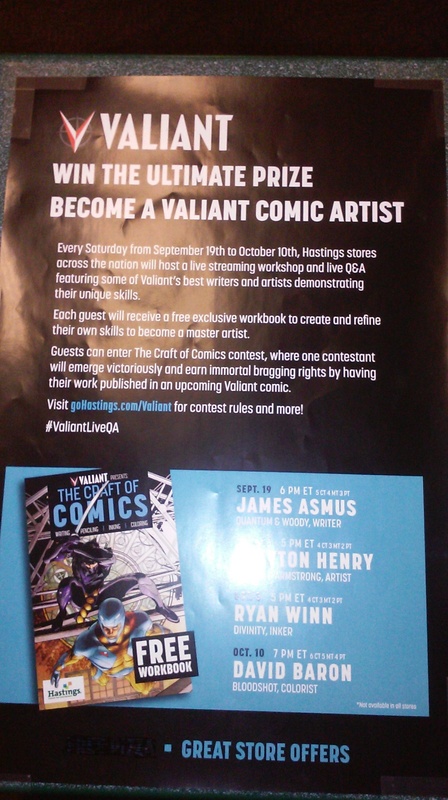 Guests will be free to enter a contest titled ‘The Craft of Comics’ where the winner will receive the immortal prize to brag about how their own idea will be incorporated into a Valiant comic. Sadly, I think I’ll only be going for one of the events which is writing and it’s mainly due to personal reasons. After tomorrow, you should drop by out YouTube channel and check out the video I’ll upload of what happened along with another article by yours truly! 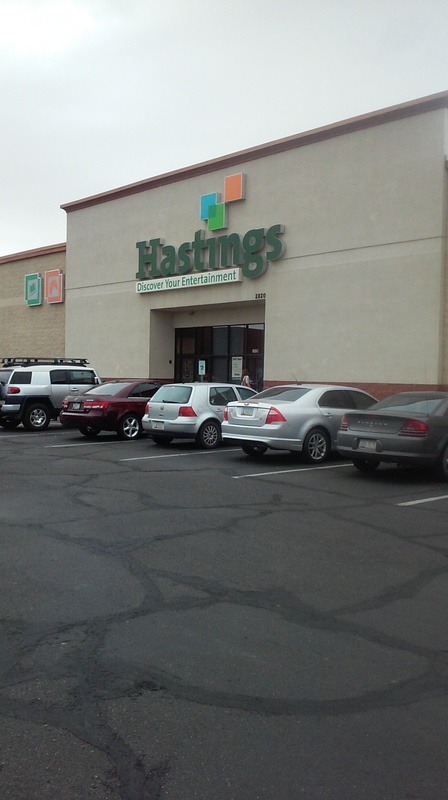 You should also contact your local Hastings for more information.